If you’ve sought out plant-powered documentaries to watch, or seen the success stories of others, you’ve experienced firsthand the power that eating a diet without meat and dairy has to increase vitality, help you lose weight or bring back health. So why does the idea of actually eating this way have you flustered and ready to give up before you begin? 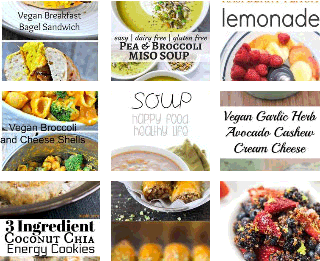 Maybe you’ve been wanting to go plant-based for a while, but just don’t know where to start. Or, you can’t wrap your head around how a “meal” really looks. Maybe you don’t feel like you can do it alone or you’ve started only to be stymied after a bit. Maybe there’s the pressure from other family members who can’t get on board. FREEBIE Let me jump ahead quickly to tell you if you'd like to join my email list, I'll send you 2 freebies. One is a list of 8 mistakes you may be making (and how to avoid them) when you plan plant-based meals. The other is a blank WEEKLY MEAL PLANNER. Click on the blue box here to join my list. Don’t let these challenges get the best of your good intentions. 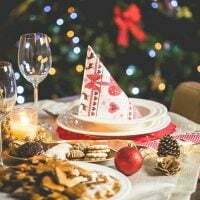 Busy schedules, lack of recipes, unstocked pantries, no plan, and probably most of all, working with the unfamiliar all contribute to these feelings. But, we don’t have a SECOND to waste fixing and eating meals that AREN’T directly linked to optimum health. 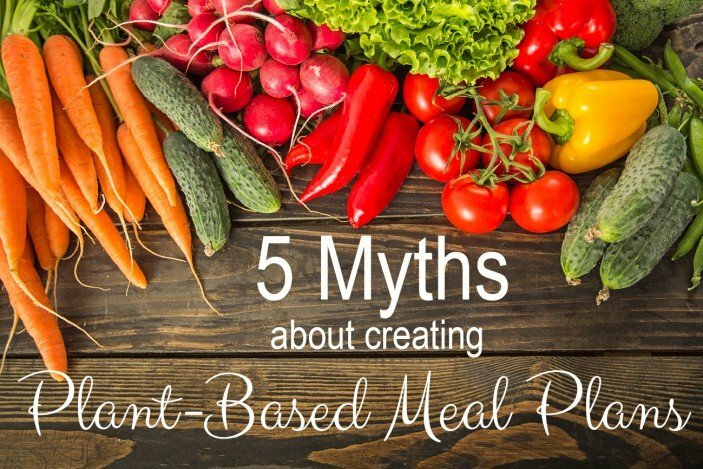 Let’s power up your meal planning on a plant-based diet today by looking at 5 myths (and 1 bonus myth) you may have about this task and replace them with effective ways to make easy meal planning a part of your life. You’ll be armed with new enthusiasm and skills to plan and eat plant-based meals throughout the week and for many weeks to come. Myth #1: I just need to eat a lot of vegetables. This won’t work because chances are, you WILL get hungry. People often think that a plant-based diet is just about the fruits and veggies, but it’s really inclusive of whole grains, legumes like kidney beans, chickpeas, and soy, starchy veggies like potatoes and yams and some nuts and seeds. While a meal made with a pile of vegetables can make your stomach feel fuller, if you include a source of protein such as tofu or lentils it will take a little longer to digest and keep you full longer. Add beans to your salad or a ¼ cup of brown rice. Eat a salsa-topped yam alongside your steamed veggies. TAKEAWAY: Plant-based eating does not mean only veggies. Protein has been big in the news over the past few years, and as a consequence, people are confused. We do indeed need protein along with carbohydrates and fats. Whole foods provided by nature offer the ideal amount of protein. But if we take a look at what nature provides, we see that the amount of protein we need to survive is less than most think. According to the US Department of Agriculture’s Recommended Daily Allowance, our protein needs are about 10% of our daily diet. It’s easy to forget that grains and veggies also contain protein. You don’t need to worry about getting enough protein on a plant-based diet. However, if you’re someone who finds yourself hungry after a meal, you may consider adding more plant sources of protein as described in Myth #1. And, if you’ve ever heard that you need to worry about getting a complete protein since only animal sources are “complete,” that has been debunked. If you eat a variety of whole plant foods, any mixture of amino acids (which is what protein is) will provide everything you need with our body’s infinite wisdom for combining and using what’s needed. TAKEAWAY: Don’t worry about getting enough protein in your weekly meal plan. Don’t make it harder on yourself than you need to. Eating the same meals on a regular basis is something that most of us do naturally. Think about what YOU usually eat in a week. One solution is to create a weekly dinner theme. Within those themes, you can mix it up easily. For example, try Taco Tuesday, Pizza Friday, or Pasta Thursday every week. Then try pesto pizza one week and mushroom artichoke the next. Making a soup every week is a good way to stretch meals so you can have leftovers for lunch or a snack. Make a pot of beans weekly and turn them into your favorites like Black Bean Tacos, or throw them on salads. Oh, and salads are the bomb. Cut up lots of veggies and use them in large salads that you eat EVERY day, EVERY week. What you want is success and making it too difficult for yourself is a bad idea. Keep it Simple Silly as the phrase goes (KISS). TAKEAWAY: Put variety in the fruits and veggies you eat, not necessarily in the meals you plan. You may think that raw foods have more nutrition than cooked, but actually, it depends on which ones you’re using. Some have more nutrition when they’re cooked and some when they’re raw. Carotenoid-containing foods such as tomatoes, carrots, and corn are better for you when they’re cooked because their thick cell walls are partially broken down, making the nutrients bound to the cell walls more accessible for assimilation. Additionally, mushrooms are better when cooked because their toxic compounds are destroyed. If you only eat raw, you’ll limit nutrient diversity. 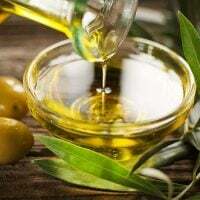 While you do want to stay away from foods that are fried, BBQed at high temps, or overcooked, eating a diet diverse in both cooked and raw provides the greatest benefit. As recommended by Dr. Fuhrman, eating soup is a great way to hold on to nutrients because they’re distributed in the soup’s liquid. TAKEAWAY: Plan your meals with a combination of raw and cooked veggies. Myth #5: Fresh is always better. It seems logical, if it’s straight from nature, it must be better. However, in today’s world, fruits and vegetables don’t usually come from our, or our neighbor’s, backyard. Instead, they can come from miles away and sit on the shelf or worse, are treated with chemicals (unless it’s organic) that keep them “young” longer. They are not picked at their peak of nutrition. While organic fruits and vegetables are good, ones that are frozen can be better because they retain their full nutrient value. Pick fresh fruits and vegetables when they’re in season and don’t be afraid to use frozen. TAKEAWAY: Pick fresh fruits and vegetables when they’re in season and don’t be afraid to use frozen. OK, I won’t lie to you, starting something new is usually more difficult than doing something you’re familiar with. It’s just the way our brains work. Until you’ve created a habit by setting down neurological pathways with repeated use, you’ll be thinking more. 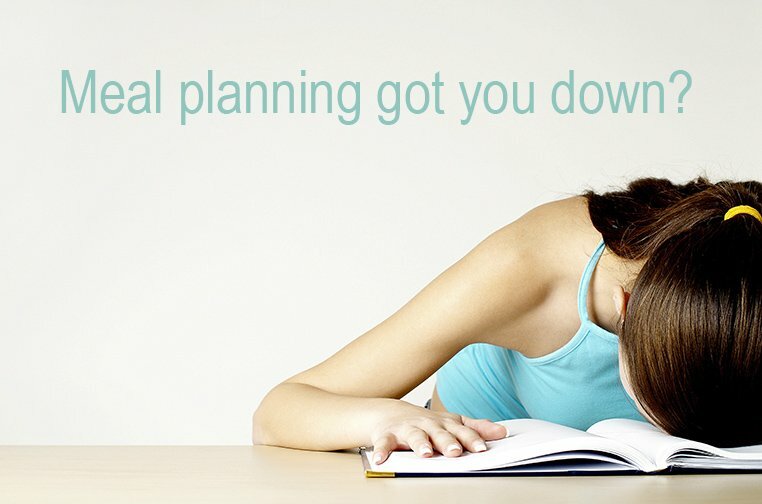 But, just like anything, you will get better at plant-based meal planning, shopping, and preparing the more you do it. It WILL take less time and effort. And, importantly, learning a new skill is very good for your brain! But, that doesn’t mean there aren’t ways to support this new skill and make it easier. One way is to start with a plan that’s already out there. Many websites offer meal plans, so try your luck with a Google search. 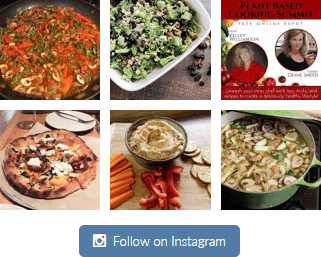 TAKEAWAY: You'll quickly learn how to plan meals on a plant-based diet and be healthier than ever! How important is this new skill? Isn’t it worth the learning curve to fit plant-based eating into your lifestyle? In the long run, you’ll have less worry and more time to concentrate on the things you love if you plan weekly meals. Let me know how it’s going for you. Are you ready to tackle meal planning? 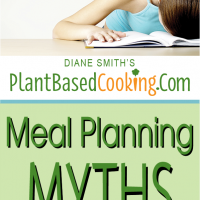 Now that you know some of the plant-based meal planning myths, I have a FREE cheat-sheet to help you even more with meal planning. My wish for you is to sidestep any traps that make most meal plans fail, and instead learn how to easily create your weekly plant-based masterpieces. I’ve been eating a plant-based diet for 5 years now and I’ve made MANY mistakes along the way. You don’t need to do the same. I’ve compiled a list of my biggest plant-based meal planning mistakes and how you can avoid them. CLICK below to get the list of 8 PLANT-BASED MEAL PLANNING MISTAKES (and how to avoid them) plus a WEEKLY MEAL PLANNER.